Insert the 2017 holidays of the countries listed below as all-day events into into iCal. 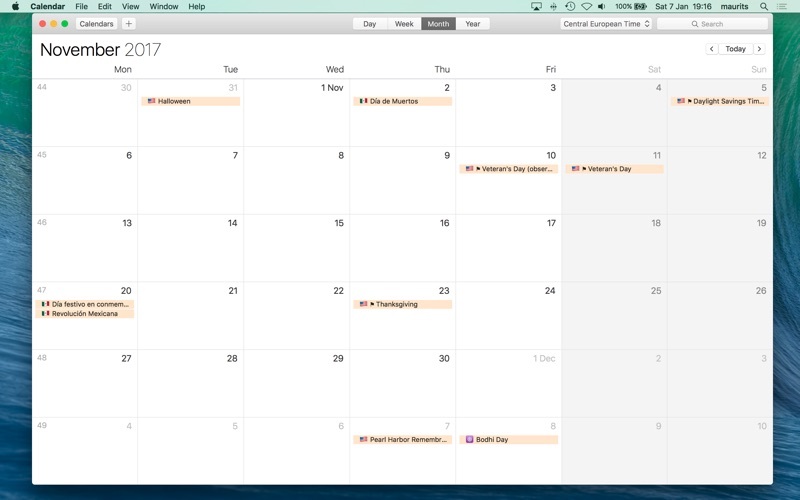 The holidays will be added into the calendar of your choice, so you don't need any subscriptions. You can select beforehand which holidays you want to add. 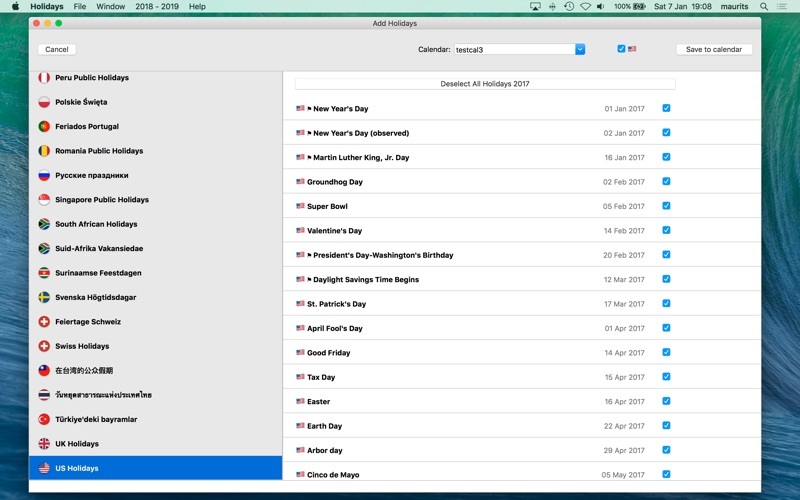 Once added all holidays can be easily edited, deleted or shifted to another calendar and synced with your iPhone/iPad, Google, Outlook, iCloud, etc. - Select individual holidays and years you want to add. - Insert into a calendar of your choice (home, work). 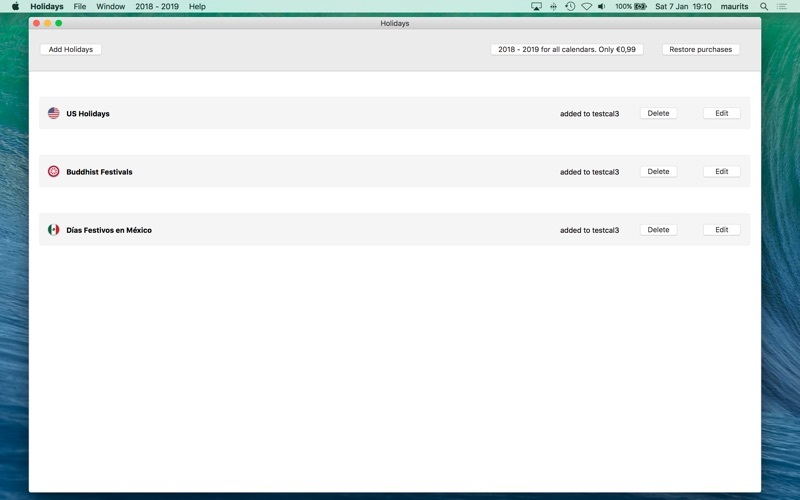 - Add country flags (OS X 10.11). - Saves you a lot typing for the upcoming years. The calendars are in their countries' language, english translations can be found in the notes or between brackets. - Buddhist, Christian, Hindu, Islamic, Jewish, Orthodox Christian and Pagan festivals. - India, Indonesia, Hong Kong Malaysia, Singapore, Thailand updated with 2018. (2019 will be updated when the governments release the dates).